Using a transnational analytical framework, this book provides a comprehensive overview of formal and informal markets and place in globalised cities. It examines how urban markets are situated within social, cultural and media discourses, and within material and symbolic economies. The book addresses four key narratives – redevelopment and relocation; privatization of public space; urban renewal; and urbanism and sustainability – to investigate shared and individual attributes of markets and place in diverse, international urban contexts. 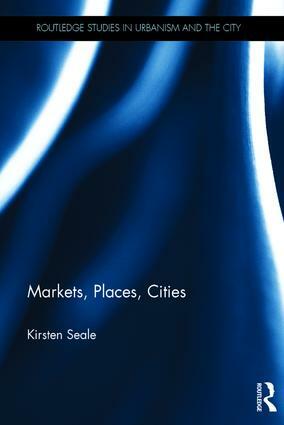 With case studies in Sydney, Hong Kong, Beijing, Rio de Janeiro, London, Antwerp, Amsterdam, Paris and San Francisco, experiences of market, place and city are explored through interdisciplinary and multimodal perspectives of visual culture, spatial practice, urban design and textual analysis. Kirsten Seale lectures in Interdisciplinary Design at the University of Technology Sydney and is Adjunct Fellow at the Institute for Culture and Society, Western Sydney University.